Price Includes :- Flights, Accommodation, Transfer. Chalet Joux Plane is in a private elevated location, just a few minutes chauffeur drive from the centre of Morzine boasting a fabulous array of shops, bars and restaurants. Saturday 21st December 2019, 7 nights, Chalet Board. Saturday 4th January 2020, 7 nights, Chalet Board. Price Includes :- Accommodation. 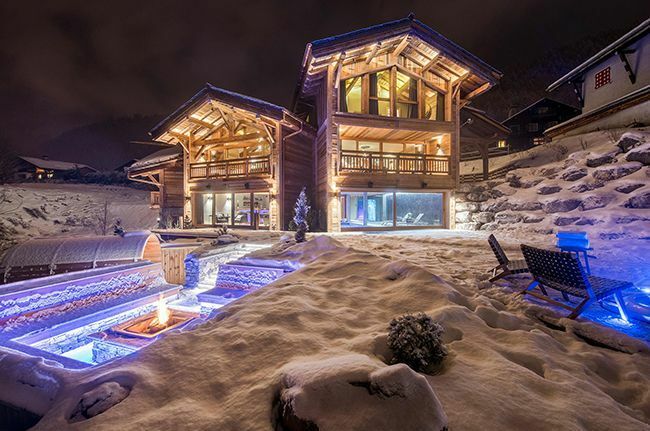 Chalet Kaila, meaning 'jewels in the snow', this chalet is built next to the Super-Morzine ski lift, sitting in the ideal location for your ski holiday at the centre of Morzine. Price Includes :- Flights, Accommodation, Transfer. The Little Lumi is a cosy 2-bedroom chalet based in the heart of Morzine making it a great choice for four friends or a whole family for an exclusive chalet experience. Price Includes :- Accommodation. With commanding views out over the traditional Savoyard resort of Morzine, Chalet M is high above the surrounding chalet’s in more ways than one. Price Includes :- Flights, Accommodation, Transfer. Just 200 metres from the slopes and right in the centre of town, Chalet Manoir in Morzine occupies an enviable location. Price Includes :- Accommodation. Chalet Sapphire is the ultimate luxury chalet offering an exclusive five-star private residence for your winter getaway. Saturday 11th January 2020, 7 nights, Chalet Board. Price Includes :- Accommodation. Set in an idyllic and private location, Chalet Twenty26 is just moments away from the centre of Morzine. The chalet comfortably accommodates up to twelve people in six en-suite bedrooms. Price Includes :- Flights, Accommodation, Transfer. The Chalet Colibri Penthouse is a modern and stylish accommodation, just a stone’s throw away from the Pleney piste and right in the centre of Morzine. Price Includes :- Scheduled flights, Accommodation, Transfer. The Chalet Colibri Kalo could not be better located just 50 metres from Morzine’s preeminent Pleney piste and bang on the main Morzine ‘strip’. Price Includes :- Flights, Accommodation, Transfer. The Ferme du Lac Vert is in the quiet hamlet of Montriond on the edge of Morzine in the Portes du Soleil ski area. 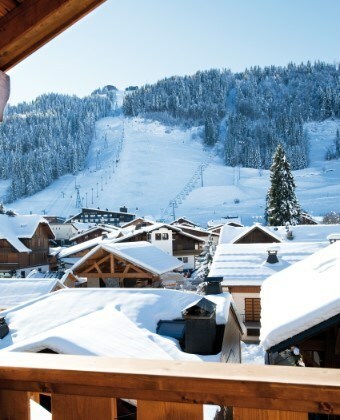 Ski and Snowboard Holidays to other popular Ski Areas near Morzine.